There is something special about going to a restaurant and not having to worry about choosing what to eat. When we went to De Vitrine in Gent last Saturday we sort of knew there was no a la carte menu. Until a few years ago, this would have been a veritable nightmare with my phobia of cheese, but now that this has been overcome, it is to a certain extent a breath of fresh air. It removes the hassle of choosing and when you visit a restaurant which is good and where the choice is extensive, having a menu is to a certain extent limiting because you know that you will be missing something special. So going to De Vitrine, the brain child of Kobe Desramaults of Michelin starred In de Wulf in Dranouter and De Superette (the bakery in Gent) was on our to do list for our weekend in Gent. De Vitrine complements In De Wulf perfectly as Kobe himself told me at Chef Sache in Cologne (read our interview with him next week) because it allows him to apply his nose to tail philosophy by ensuring nothing goes to waste. The place reminded us of La Buvette, in Brussels. The restaurant is in a former butcher shop which has been converted into a restaurant. The menu is fixed, with a choice to add one dish for an additional 10 euros, though you are asked whether you have any allergies or dislikes or whether you are a vegetarian. The restaurant is called De Vitrine because it is located in Gent’s red light district hence the name “the display window”. The place was packed and we were told by locals that it is not easy to get a table so booking early is highly recommended. The open kitchen is part of the allure of the place since you can constantly observe what is happening. We were told by some friends in Gent to try a Belgian sparkling wine which is served in the restaurant and this proved to be rather special. Bacquaert is a dry but fruity sparkling wine from the Entre Deux Monts and is a very fruity Chardonnay. 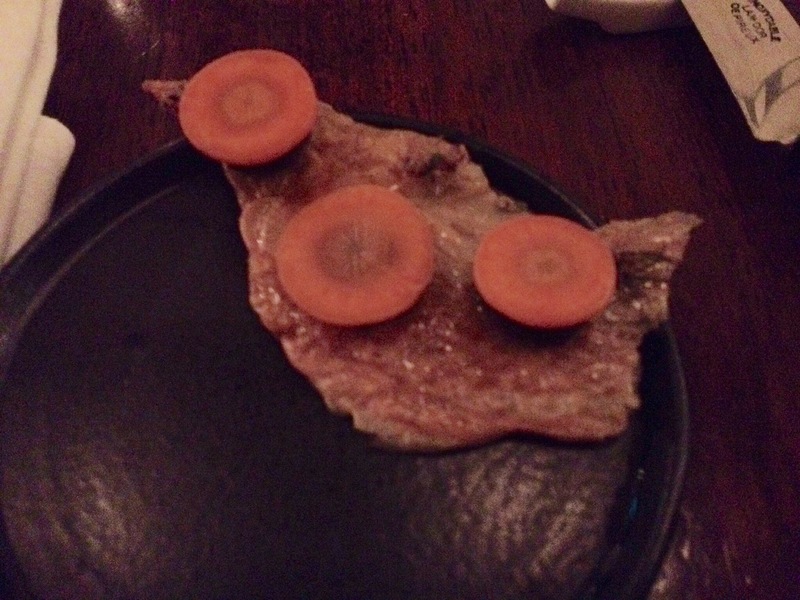 It matched very well with the first two amuse bouche, a crispy chicken with rowanberry and carrot and oyster wrapped in broccoli leaf and grain miso. 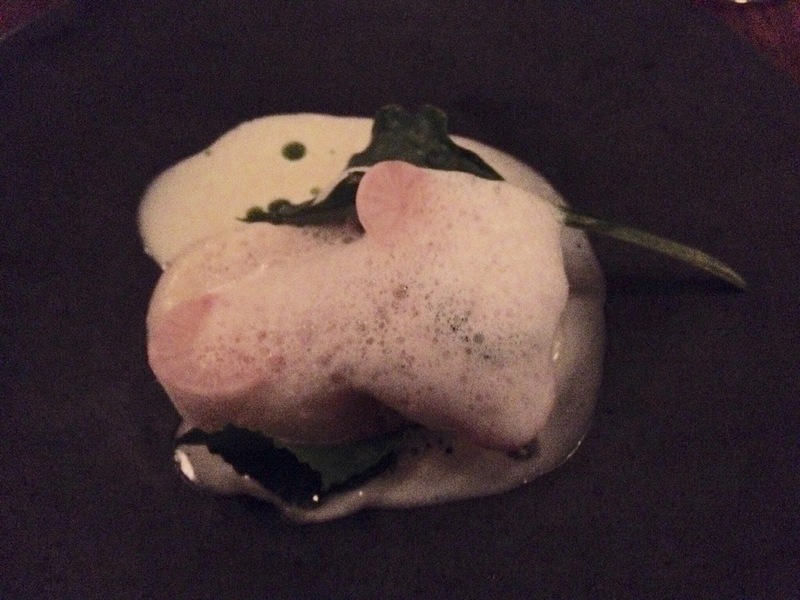 The first course was scallops with rhubarb radish and a foam of white beer which was excellent. This was followed by a smoked mackerel served with garlic green. The dishes were getting better and better. 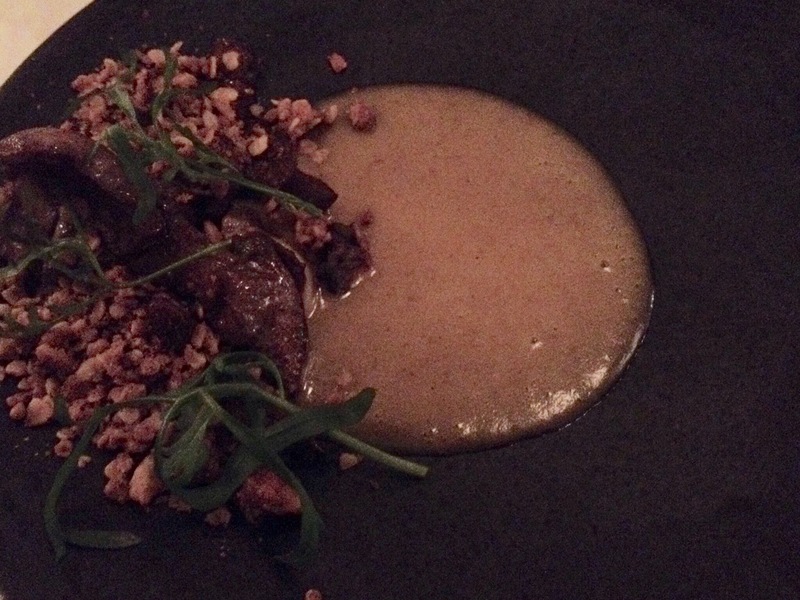 The next one, mushrooms from the ardennes was served with a rye-bread sauce and hazelnuts. 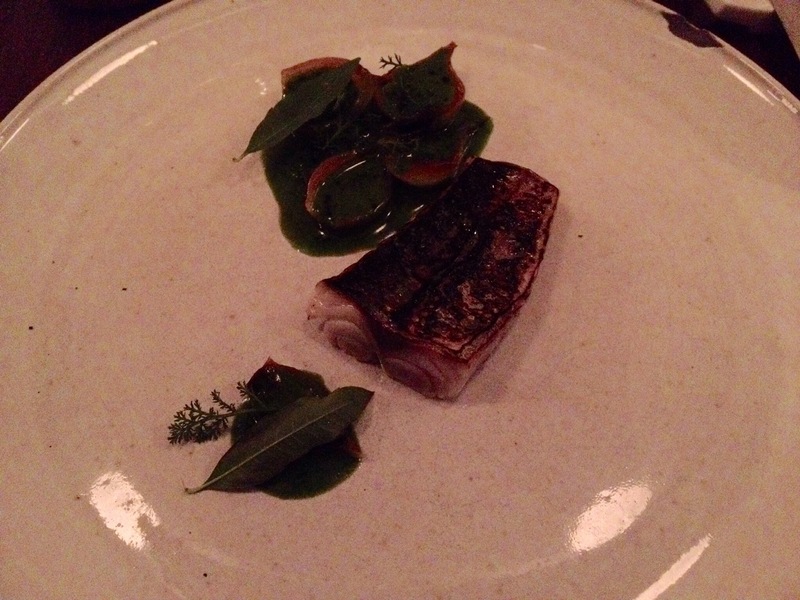 This dish was spectacular in terms of flavours. 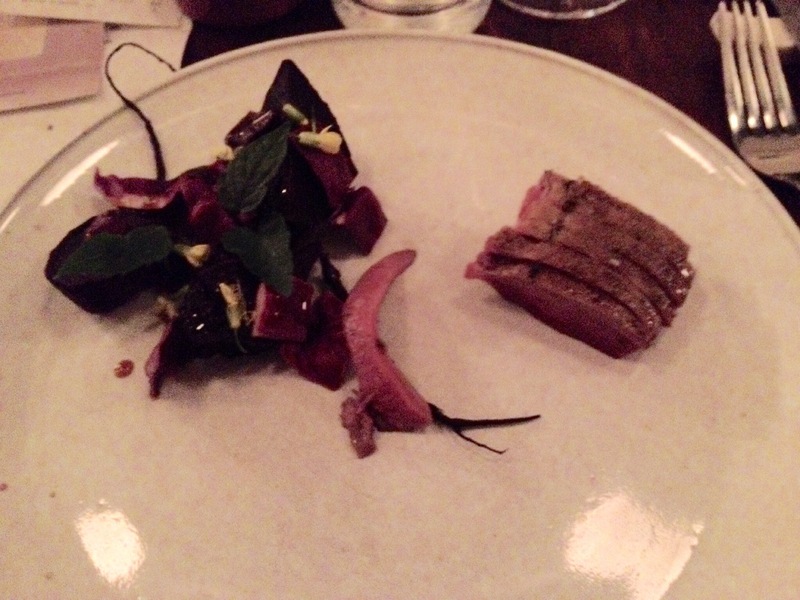 It was followed by a wild duck served with beetroot, beetroot puree and rosehip. I am not a great fan of beetroot but this worked very well. We decided to go for the optional dish which was Keiemse cheese served with a pear essence, confit pear and hazelnut. 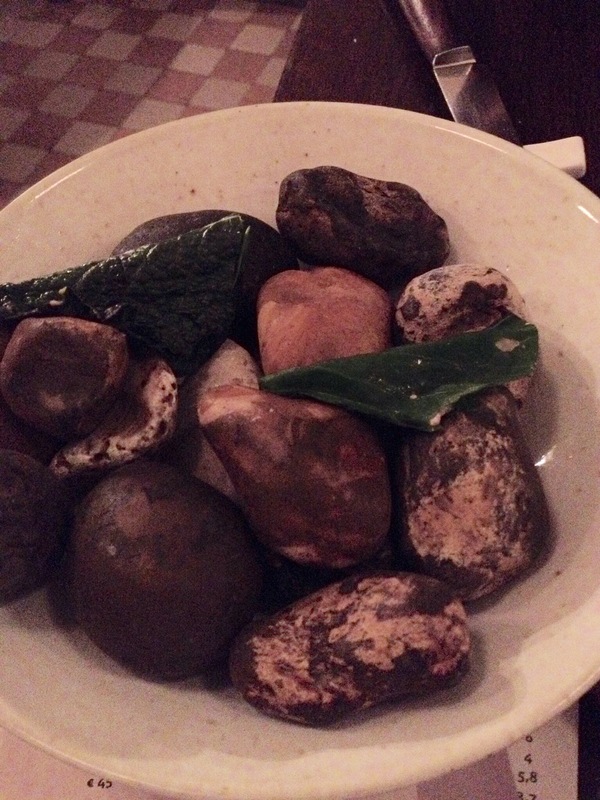 The matching of the flavours was outstanding and in its simplicity it was among the best dishes. 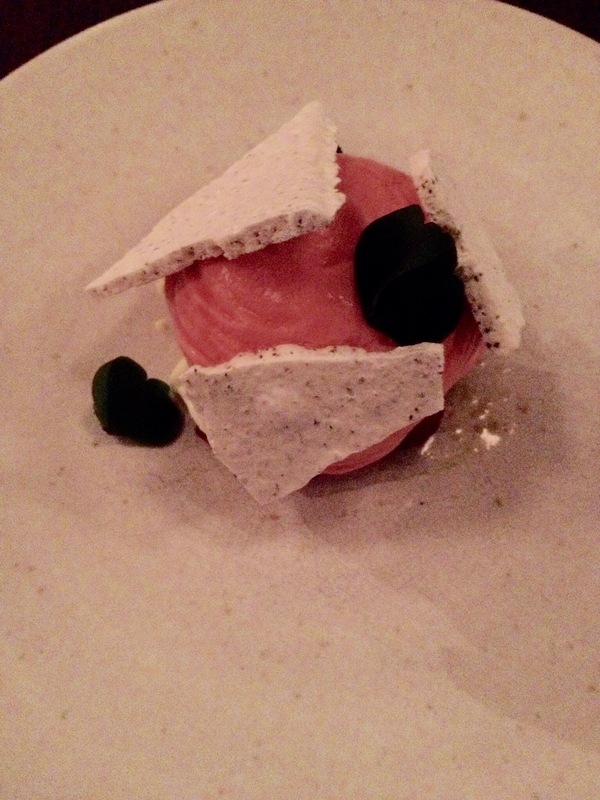 To end we had a pine ice cream meringue, raspberries and a mousse of raspberries which again worked extremely well. While this might be a ‘bistro’ restaurant, don’t be deceived. In the hands of Matthias Speyboeck (formally of Oud Sluis and In de Wulf) and Niels Desnouck (Noma and In de Wulf) the restaurant may be casual but the food is anything but. This is really worth visiting. Gent’s gastronomy scene is incredibly interesting and this is clearly one of the places to visit. It is no wonder Massimo Bottura of renowned Italian restaurant Osteria Francescana in Modena visited the restaurant last week when he was in Gent. We paid around Euro 130 for two which included five glasses of wine (all the wines on the wine list are available by the glass which is also a plus point for this restaurant). For the quality we thought this was very good value. The service was excellent throughout the evening. The restaurant can be found on: Brabantdam 134, 9000 Ghent. It is open from Tuesday to Saturday (closed Saturday for lunch). Booking is essential, well in advance.